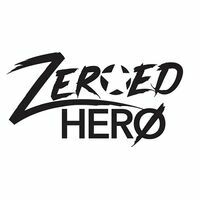 Zeroed Hero pours a classic blend of '70s and '90s style rock that’s more Muhammad Ali than Mike Tyson, serving up a bevy of deft guitar riffs, thoughtful lyrics, and memorable harmonies that’ll make your heart pound, your head sweat, and the temperature of your jeans rise. Chris and Dean have been collaborating for decades; music, home improvement, bartending, even dabbling in an online cooking show. They have the kind of chemistry that can only be concocted when best friends fuse with blood relatives. While both are steeped in a broad tincture of rock and roll, they each bring their own ingredients to Zeroed Hero; Chris seasoned his bass chops through cover bands and blues, and Dean extracted his vocal style from powerhouse classic rock and musical theater. Fitting the diversity of influences on their debut album Love Letters to a Mannequin, the live lineup is infused with an array of badass talent packing more natural flavor than an artisanal ice cream shop. A killer jazz scene voice fresh from rocking a Hammond organ fronting a soul group, Alison plays keys and sings. Steve forged his guitar skills in alt-metal and tempered them touring nationally with reggae and funk groups. Providing the tock to their tic and anchoring the rhythm section is americana and rock veteran Tony on drums. Live, the group promises a high-energy show with a colorful palate of sounds, driving rhythms, and compelling harmonies. Like your favorite pair of worn jeans, slide in and wrap yourself in the black and blue collar rock & roll comfort of Zeroed Hero.